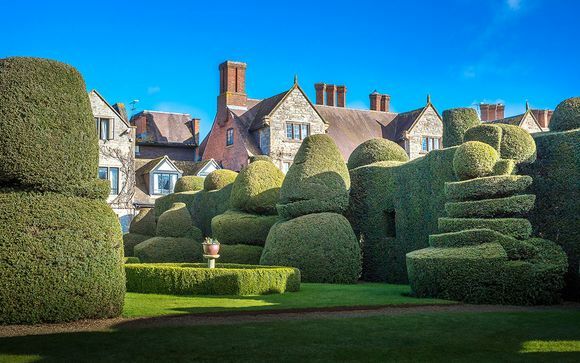 Home to not only a 100 year old listed topiary garden, but an onsite 11th century church, Billesley Manor Hotel 4* provides a quintessentially British break. 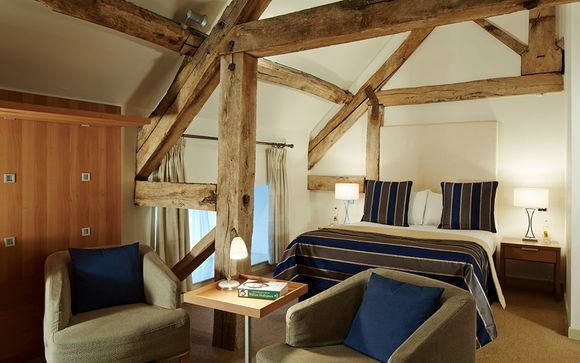 This 16th century hotel is the perfect location to explore Shakespeare's country as you'll be just minutes from Stratford. Our guests will have a choice between two excellent rooms, with a complimentary bottle of wine included in their stay each night! 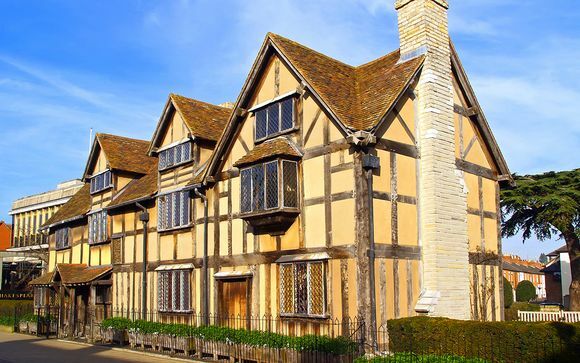 The historic attractions of Coventry and Warwick are close by and nearby Stratford-upon-Avon offers excellent shopping, nightlife and culture. Alcester is a pretty market town with cafés, bars and interesting shopping. The birthplace of William Shakespeare, Stratford-upon-Avon is steeped in culture and history and one of the biggest tourism magnets of the area. Minutes from Stratford-upon-Avon, this 16th Century Elizabethan Manor House Hotel is the perfect base to explore Shakespeare Country. You can unwind in the spa, enjoy fabulous dining in the award winning restaurant, explore the lush hotel grounds and truly enjoy a delightful English retreat. Choose a stay in either a Standard Room or Superior Room. Just for you: - Complimentary late check-out during your stay. Each Standard Room offers a large work area, easy chairs and coffee table and most are located in the Cedar Barns, giving a cosy and countrified feel. 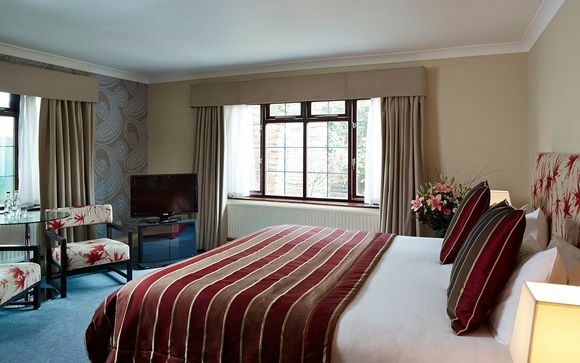 Each Superior Room can be found within the Manor House. These spacious rooms come with king-sized beds, comfy chairs, coffee table and mineral water. Just for you: - 1 complimentary bottle of wine each night of your stay. Get your day off to a great start with a signature breakfast. Choose from a traditional cooked or light continental selection, including farmhouse pork sausages, grilled back bacon, fresh fruit, flaky pastries and seeded breads. Alternatively treat yourself to a classic dish such as eggs benedict and smoked salmon or haddock. Here you can enjoy spring salads using the freshest seasonal leaves, a selection of sandwiches and light bites, grazing boards and wines & cocktails. Revel in the splendor of this authentic dining room which has received praised by the famed Egon Ronay. All dishes are prepared using the finest local & seasonal ingredients. There is no more decadent way than treating yourself and someone special to afternoon tea. Enjoy drinks with a large original fireplace, garden terrace overlooking topiary gardens. Food is available all day. This offer does not include transport. Leave the M40 at junction 15 and join the A46 towards Stratford-upon-Avon. Continue for approximately nine miles past Snitterfield and the turnings for Stratford-upon-Avon. The hotel can be found by turning right off the A46 to Billesley.